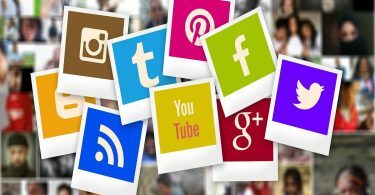 Online reviews from your customers are seen as a powerful way to promote trust and confidence in your business online. However, not all customer review sites are trusted in the same way. Google reviews are way ahead in having that authority to help prospects trust you and select you over your competitors. As Google reviews are one of the essential signals to boost your local SEO, they also contribute to help define your position on search ranking. Bottom line: Google reviews are essential for your business. So, make sure you ask your customers for Google reviews. Now that you have decided to get Google reviews from your customers, you need to make the process easy for them. The more steps involved in leaving a review, the less likely customers are to go through with it. Rather than hoping your customers care enough to search for your business, open your Google profile, and find the ‘Write a Review’ button. 1. Do a Google search for your company. 2. 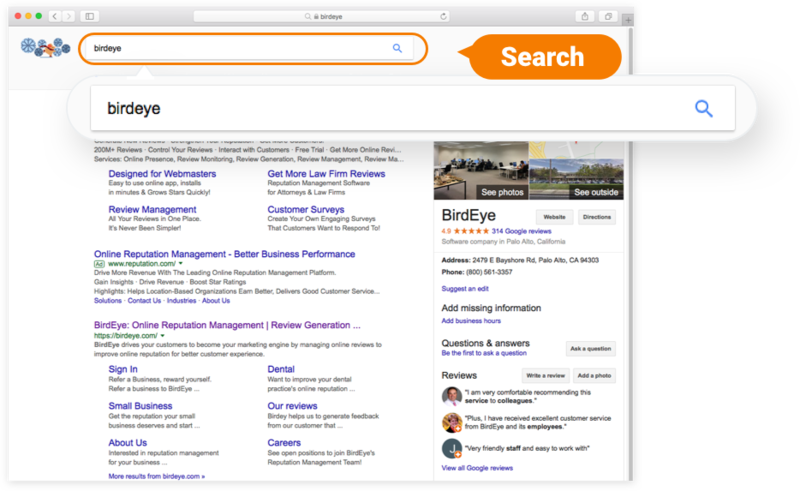 Click on the “Write a Review” button that appears in the Knowledge Graph. 3. A Google review box will pop up. Copy the URL from the address bar. 4. Shorten the Google review URL. You’ll notice your review URL is quite long. If you’re sending SMS messages, you have a 160-character limit, so you’ll need to make that link shorter if you want to include anything else in your message (which you do). 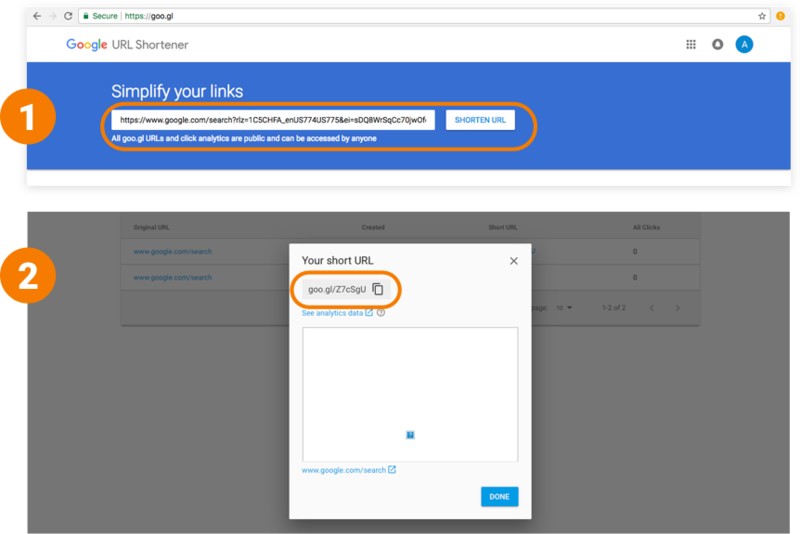 There are lots of free tools to shorten URLs, but our favorite is Google URL Shortener. Just paste your review link into the text box and you’ll get a shorter, more user-friendly version like this [https://goo.gl/Z7cSgU]. 5. Paste shortened URL into review requests. By adding this clean little URL to your emails and SMS messages, you can smoothly direct customers to your Google My Business profile where they can easily leave a review. If you think that these are a lot of steps, you are not alone. You can make the process simple for yourself to automate the process of sending review requests. This way you do not have to locate this link every time and manually send it via email or SMS. 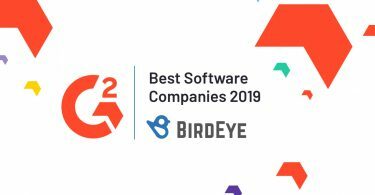 Once you integrate your existing customer management system with BirdEye your review requests will go out automatically to your customers. 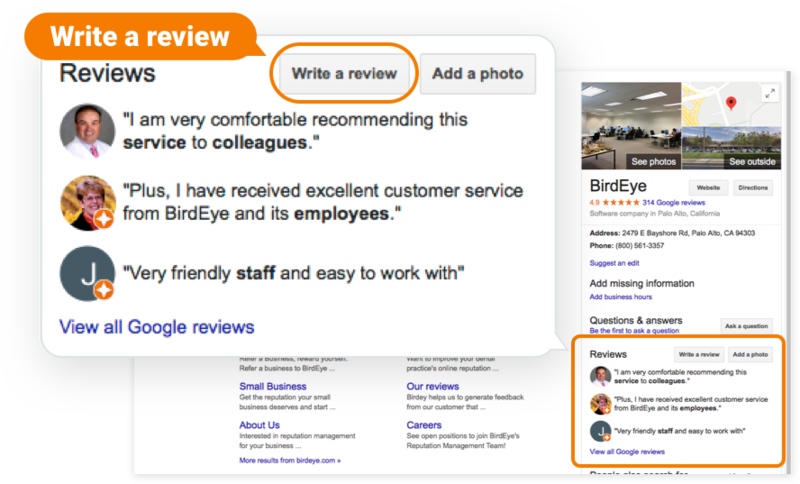 In addition, BirdEye is fully integrated with Google, so every step of the review collection process is automatic. So what are you waiting for? Just sign up for a free trial today.